Its post-Mother’s Day and I’m feeling a little emotional and nostalgic here today, not sure why, but it got me thinking, a pause for thought, how blessed I am to enjoy my job every day, “cheesy “I know, but really its true. 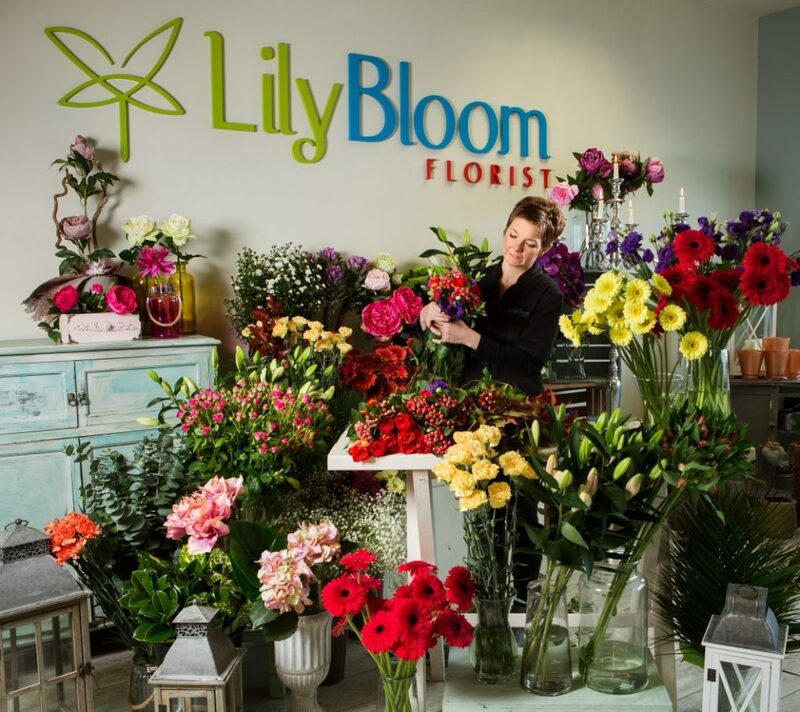 Its fast approaching our 2nd birthday and we are heading into our 3rd year here at Lily Bloom florist, and really it has flown by soooooo fast. Some days I don’t have time to eat (thank god for chocolate) but those days are the best ones. 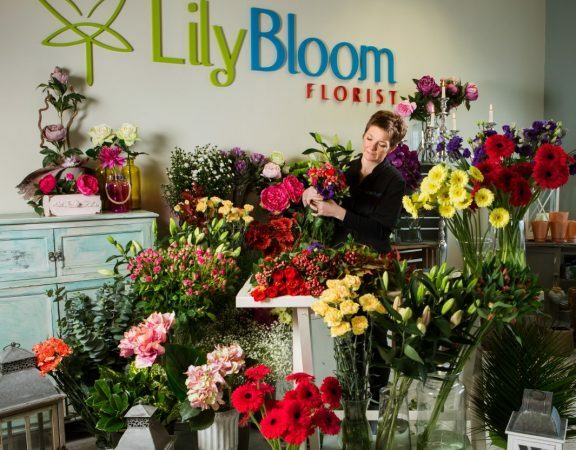 We are big on Weddings here @ Lily Bloom florist, and our beautiful loved up couples are spreading the word about us. Last year’s numbers for Weddings were up on 40% which was fabulous for us, into only our 2nd year, just fab, pure satisfaction to create such beautiful Wedding flowers. We are diving into this 3rd year of Weddings now and we are bursting with inspiration. We are independent florists here, in other words we don’t depend on relay companies for our orders, and our designs are unique and created here in store. We stock top quality high grade flowers, ordered direct from Holland at Aalsmeer Auction, so we choose what we sell, and at affordable prices too. We were awarded membership of the Good Florist Guide last year, which recognises top, high end, quality, independent florists from Ireland and the UK. We were chuffed as bunches with this and we milked, milked, milked!! We were selected finalists also for Wexford Business Awards, and while we did not win, even to get as far in a category with other superb top Businesses in Wexford, was fantastic for us. I would urge anyone to get involved as it’s a great experience and great learning process for your business and for me as an individual. Just to share a few, too many to share all, but all in all, I’m having a blast (is that unprofessional to say!!!). Sometimes I try to pat myself on the back for what we have achieved so far so early. Of course, it’s not all down to me, it’s the people I have around me, in the shop, and at home, I couldn’t have done it without their constant help, and really, I just come to work each day and we take it from there,” it’s easy when u know how” goes the ould sayin, but loving what you do, makes it all the better. Anyways before I start watering the flowers with emotion, I best sign off, but cheers, thanks, see u all in the next flowery cartoon. Typical cost of Wedding flowers in Ireland & Why choosing the Right florist is important. Check out our wide range of products we have to offer, custom designed and specified to your liking. A unique product handcrafted with love and perfection. Why should you give flowers on Valentines day?